Clips with rod ends are available in a variety of colours. One end of the clip fits onto the edge of a rod as shown in the photo. Any connector can then be attached to the other end of the clip. 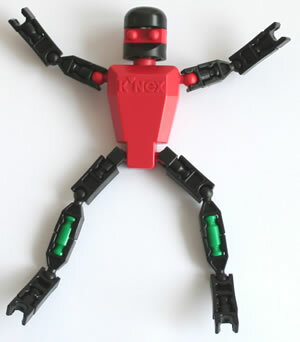 You can purchase clips with rod ends in our K'NEX shop. 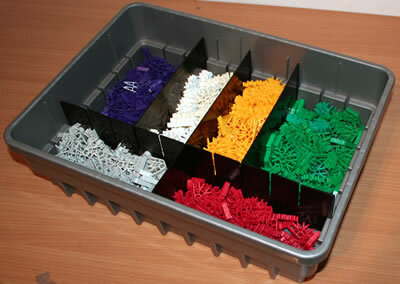 Clips with rod ends, although small, can help to add significant variety to your K'NEX models. 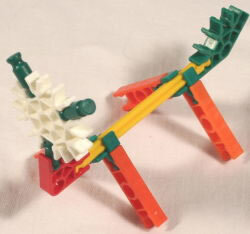 A simple example is shown in the photo, where four clips are used to attach legs to the body of an animal. 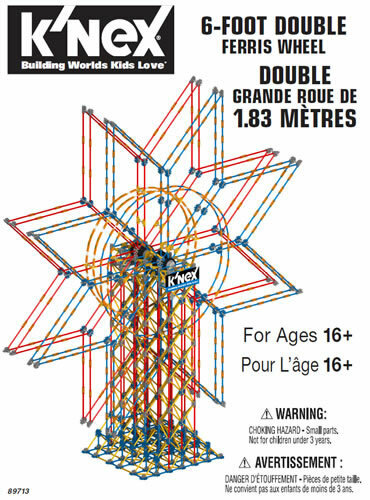 Micro K'NEX also includes a clip with rod end. This is usually a tan colour, as shown in the photo.